This week the U.S. Federal Reserve and Bank of Japan hold their long anticipated September policy meetings. Investor focus has turned to the message for the future meetings where the Fed is concerned. The BOJ may actually adjust its policy. Meanwhile, the Bank for International Settlements has sounded a warning that asset prices are unnaturally high given the growing global risks. This comes as new data out of Britain shows that the Brexit vote has damaged business confidence. This weekend Germany's Iron Lady Angela Merkel took a resounding hit in yet another regional election. 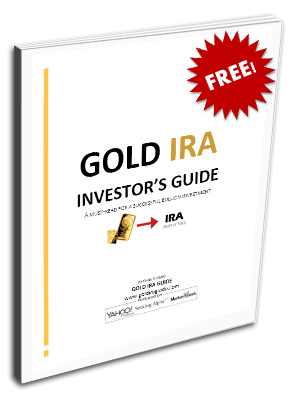 Instability on a global scale continues to recommend that you have gold holdings for retirement and personal protection. Despite the fact that financial markets have handled Brexit and other disrupting geopolitical events lately, the Bank for International Settlements is not convinced that all is well. Their Quarterly Review report released Sunday stated that the prices for assets could be too high as the possible risks for market stability continue to grow. The more guarded BIS stopped short of saying that both stock and bond prices are in bubble stages ready to burst. They did warn that these values are high in a world where the underlying bases on which they are based are not too solid. This is a prescient warning that you should take seriously. The BIS represents the bank of central banks and reflects the policy views of the world's important central bankers. Even though company earnings are weak and have been on the decline since 2014, stock prices continue to rise. The BIS also notes that economic growth rates and bond yield comparisons throughout the major global economies imply that the sovereign bonds markets have become massively overvalued. The yields on these bonds have proven to be significantly lower than growth rates for the U.S., Germany, Japan, and the United Kingdom for a substantial amount of time. The political situation continues to deteriorate in Europe's largest and most important economy Germany. Chancellor Angela Merkel endured a second electoral defeat in two weeks on Sunday. Voters continue to rebel against her welcoming immigrant policy. In the capital Berlin's regional election, her CDU party witnessed the largest setback in its vote share since 1990. At the same time, the AfD Alternative for Germany party enjoyed a rise in its percentage of the vote. Merkel's long ruling CDU party downward spiral now extends to election defeats in the past five state elections. The party will likely only govern five of the sixteen federal states now. With the national elections coming next year, this unfolding situation bears close watching for its potential major impacts on EU stability. Most Fed watchers no longer expect an interest rate hike at this week's meeting. Throughout this past week, the anticipation of an imminent rate hike has consistently dissipated. More than half of the market participants are convinced that they will raise them by the December meeting. Analysts will now be watching closely for a statement that indicates more solidly there will be an increase in interest rates by the end of the year. The CME Group FedWatch Tool was showing a 55% possibility that the Fed will raise its benchmark rates by December in its short term U.S. interest rate futures. Before Friday's solid inflation data came out, this had sat at 47%. This week the Bank of Japan will also undergo its full scale policy review to consider the effectiveness of their enormous asset purchasing program and the negative interest rates. Market participants are speculating it may change its direction to increase the stimulus at the same time as it finds a way to protect the banks from the negative interest rates on their deposits. This is not to say that they will abandon their negative interest rates. Many watchers are anticipating that they will potentially cut the rates further into sub zero territory. There is also speculation that they will change the rules on the length of securities they buy in the bond markets. This is a critical moment for the BOJ, as confidence in their ability to boost the economy and weaken their currency continues to decline. Recent economic reports out of Britain had been more encouraging of the view that maybe Brexit was not really taking a toll on the economy. A new survey from Lloyds Bank released today showed that all is not well with business in the U.K. The report revealed that British firms did pull back on their investment plans during the month following the vote to withdraw from the E.U. The all around business confidence index that takes into account and averages the anticipated orders, sales, and profits over the coming six months from 1,500 firms dropped from 38 percent in January to 12 percent at the end of July. This represented a four year low in the index. The service industry suffered the worst blow to confidence as it declined an average of 30 points. In general, the small and medium sized enterprises anticipated exporting less while being less likely to increase their capital spending or to hire new employees. The takeaway from the survey is that the Brexit vote will likely continue to exert a long term effect on the British economy. The survey was released the same weekend that European Central Bank member Jens Weidmann stated that banks and other financial institutions headquartered in the U.K. will forfeit their passport rights that permit them to function throughout the European Union if Britain does not minimally remain a member of the European Economic Area. Weidmann told the British Guardian newspaper that “Passporting rights are tied to the single market and would automatically cease to apply if Great Britain is no longer at least part of the European Economic Area.” It remains a serious global concern for the fifth largest economy in the world that is still the leading banking and insurance center.